This fully finished and operational holiday complex is located near Cacao Beach, in a quiet area of ​​Sunny Beach. The complex is situated on a quiet street, close to the center of the resort. 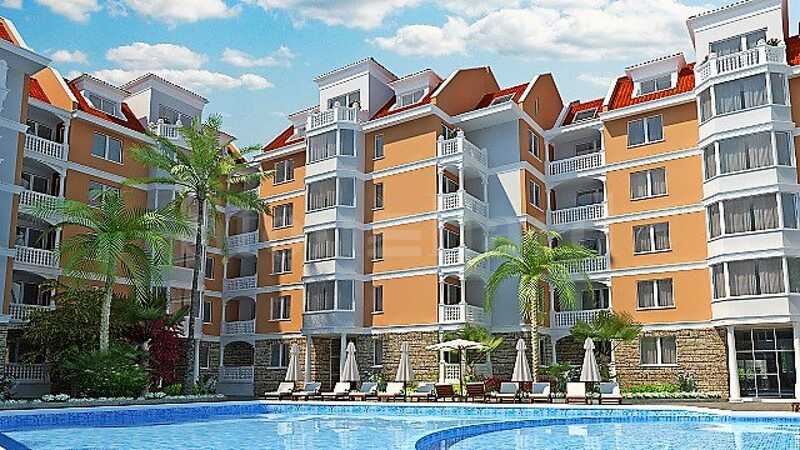 Nessebar is located 950 m from the complex and has convenient and easy access from the complex. The building features an attractive facade with decorative elements and spacious balconies. 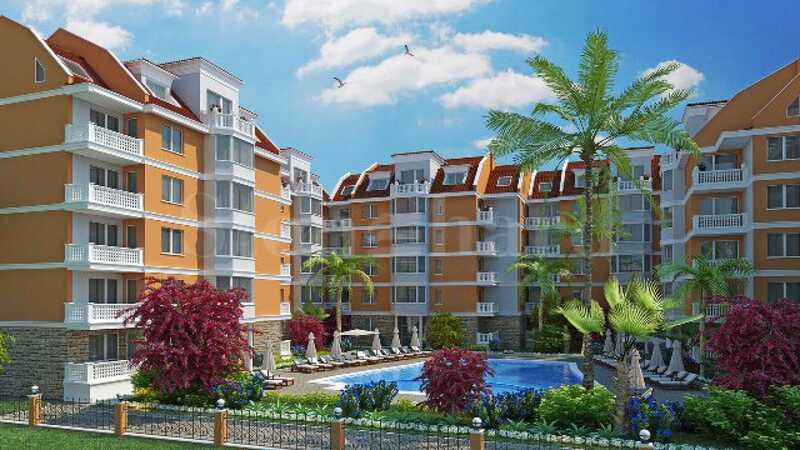 The complex is characterized with high quality construction and insulation, luxurious common parts and modern elevator. Available for sale are studios and one-bedroom apartments, most of which are on two levels. The apartments are offered fully finished, not furnished with laminated flooring and terracotta tiles, latex painted walls, interior and exterior doors, installations and lighting, PVC window frames, equipped bathrooms with shower cabins and accessories, air conditioners, fully finished terraces with beautiful railings. There is a possibility to purchase apartments with furnishing. Maintenance fee - 8 euros (excluding VAT) per sq.m per year.